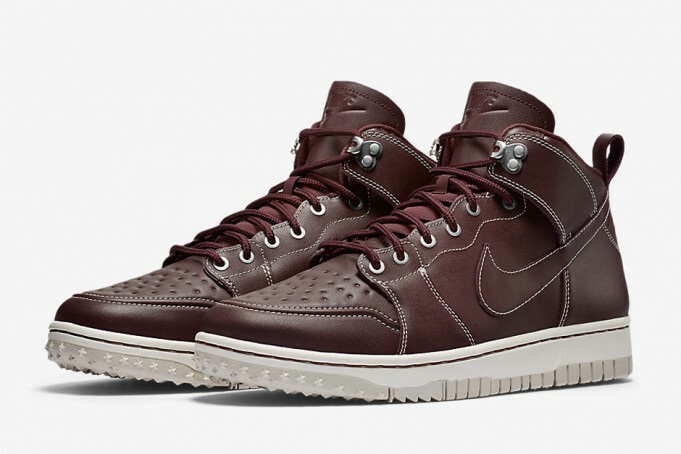 Nike Dunk High Sneakerboot "Mahogany"
Nike is no stranger to the crafting of sneakerboots, and perfecting it along the way. Their latest silhouette to get the winterized treatment is the basketball shoe turned skate staple, the Nike Dunk High. The transformation includes a bolstered outsole, ideal for traction in the coming season. This time around, the shoe makes an appearance in a “Mahogany” shade, featuring a premium water-repellent brown leather upper. Accents include white contrast stitching and burgundy laces. A shearling inner lining brings about the “comfort” aspect of the shoe. 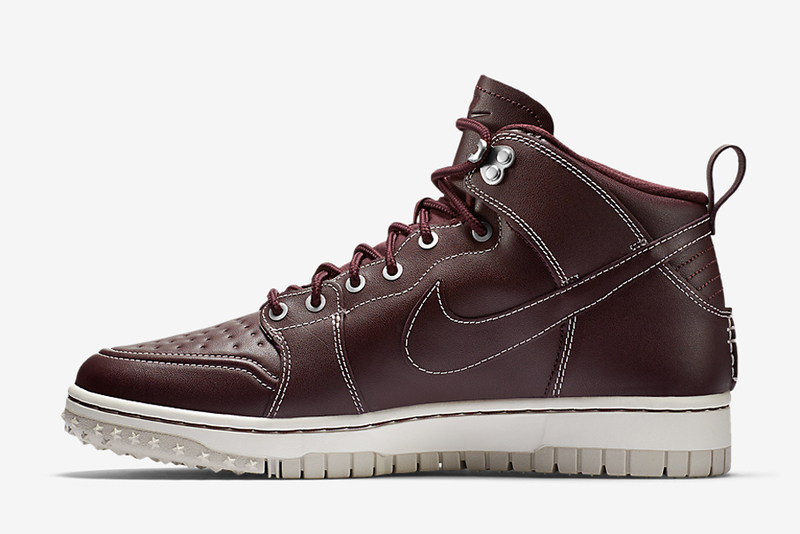 Priced at $150 USD, the Nike Dunk High Comfort Sneakerboot “Mahogany” is now available online at Nike.